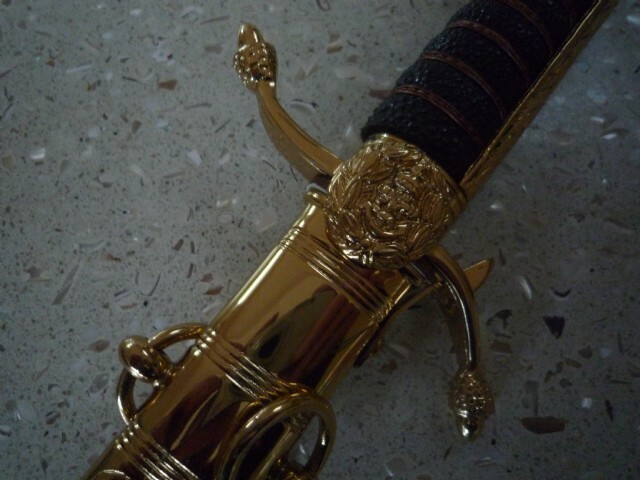 True reproduction of the original Midshipman’s Dirk. 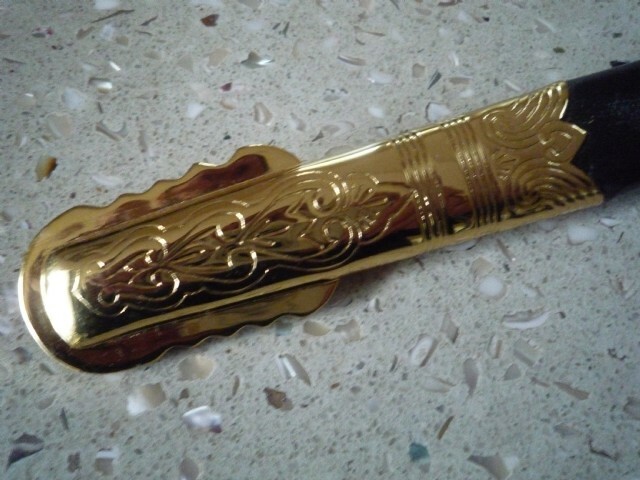 Leather covered scabbard with brass parts. Ideal fo a presentation item. 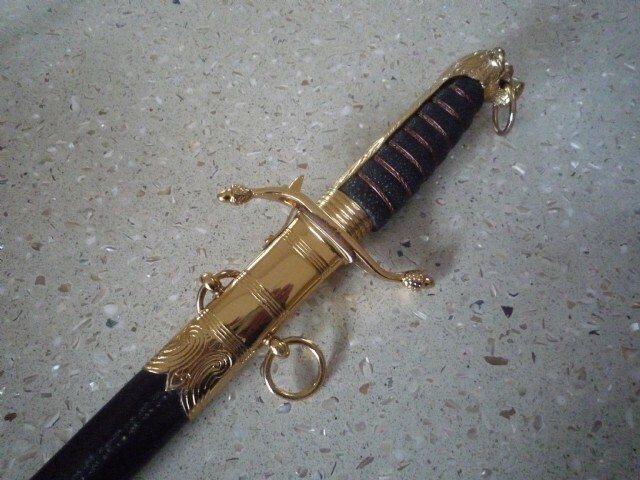 Manufactured for Sword World by WINDLASS.